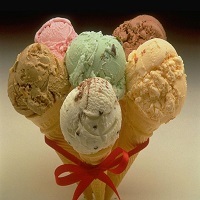 Ice cream is a frosty food which is made by using dairy items like cream and milk. It tastes good when combined with fresh fruits or other ingredients and essences. According to the guidelines, ice cream should contain 10 per cent milk fat and 3.5 per cent milk protein.The permitted flavour that has been added in the ice-cream for taste and sweetness must be given on the label. Ice creams were adulterated by synthetic ice creams made from petroleum product andso a notice has been issued in the wake of reports from the Food Safety and Standards Authority of India (FSSAI) who has found adulteration in ice creams.